Executive Vice President, Secretary& Chief Compliance Officer 01/1990–Present Legacy Capital Partners, Inc.
Vice President & Assistant Branch Manager 02/1981–12/1989 Morgan Stanley DW, Inc. The CERTIFIED FINANCIAL PLANNER™ (CFP®) certification process, administered by CFP Board, identifies that those individuals who have been authorized to use the CFP certification marks in the U.S. have met rigorous professional standards and have agreed to adhere to the principles of integrity, objectivity, competence, fairness, confidentiality, professionalism, and diligence when dealing with clients. CFP certificants must pass the comprehensive CFP Certification Examination; pass CFP Board's Candidate Fitness Standards; agree to abide by CFP Board's Code of Ethics and Professional Responsibility, which puts clients' interests first; and comply with the Financial Planning Practice Standards, which spell out what clients should be able to reasonably expect from the financial planning engagement. These are just some of the reasons why the CFP certification is becoming increasingly recognized. Education Complete an advanced college-level course of study addressing the financial planning subject areas that CFP Board’s studies have determined as necessary for the competent and professional delivery of financial planning services, and attain a Bachelor’s Degree from a regionally accredited United States college or university (or its equivalent from a foreign university). CFP Board’s financial planning subject areas include insurance planning and risk management, employee benefits planning, investment planning, income tax planning, retirement planning, and estate planning. Examination Pass the comprehensive CFP Certification Examination. The examination, administered in 10 hours over a two-day period, includes case studies and client scenarios designed to test one’s ability to correctly diagnose financial planning issues and apply one’s knowledge of financial planning to real world circumstances. Continuing Education Complete 30 hours of continuing education hours every two years, including two hours on the Code of Ethics and other parts of the Standards of Professional Conduct, to maintain competence and keep up with developments in the financial planning field. Ethics Renew an agreement to be bound by the Standards of Professional Conduct. The Standards prominently require that CFP professionals provide financial planning services at a fiduciary standard of care. This means CFP professionals must provide financial planning services in the best interests of their clients. CFP professionals who fail to comply with the above standards and requirements may be subject to CFP Board’s enforcement process, which could result in suspension or permanent revocation of their CFP certification. Disciplinary Information Jeffry J. Brigman does not have any disciplinary action to report. Public information concerning Mr. Brigman’s registration as an investment advisor representative may be found by accessing the SEC's public disclosure site at www.adviserinfo.sec.gov. 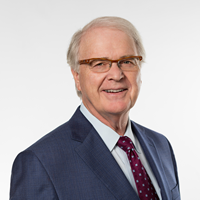 Other Business Activities Mr. Brigman is a Managing Director and Executive Vice President of Legacy Capital Partners, Inc. Mr. Brigman is also a board member of the Potawatomi Area Boy Scouts and chair of the Endowment Investment Committee. He is also Chair of the Endowment Investment Subcommittee for Divine Savior Holy Angels High School. Additional Compensation Mr. Brigman receives no other compensation than from the fees earned from advisory clients. Supervision Jeffry Brigman is a Managing Director and Vice President of Legacy Capital Partners, Inc. Supervision of Mr. Brigman is performed by Thomas J. Wickman in his role as President of Legacy Capital Partners, Inc., through reviews of internal transaction and security holdings reports, electronic and physical correspondence, and other internal reports as mandated by the firm and its regulatory authorities. Thomas J. Wickman can be reached at 414-271-1664.